"The hotel met our expectations. Great view from the 3rd floor. The employees were nice. Everything was good. Try it, you'll like it.2016-03-02"
"I was disappointed that we didn't get a cot and were expected to put 5 people in 2 beds. Everything else about this hotel was fine.2015-08-11"
"The room was clean and fresh, including the bedding. Appreciated the book with lists of restaurants, shops, and things to see, along with a wonderful map of the area. Pleasant employees. The pool area was clean. 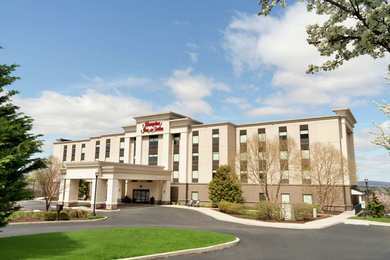 We had a pleasant stay at this hotel.2015-06-18"
Learn more about Ephrata Hotels & Motels in our Ephrata Hotels Guide.